I feel like life has been non-stop recently; a new puppy and a whirlwind trip to visit my grandmother for her birthday have been fun, but I feel like I'm just now catching my breath and catching up on life. Oh, and yes, I brought cake for my grandmother's birthday. Remember my favorite aphorism? Have cake, will travel. Invite me to your next party, please, wherever you may be! I've also been getting some amazing produce from my garden over these past two weeks. And, speaking of cake, the basil in my garden really takes the cake. The basil has somehow morphed into these three giant bushes of basil (I only planted two! 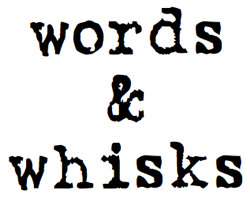 ), and it smells and tastes so good. Why are we talking about basil, you may ask? Because adding basil to these sausage and goat cheese stuffed red bell peppers is essential. 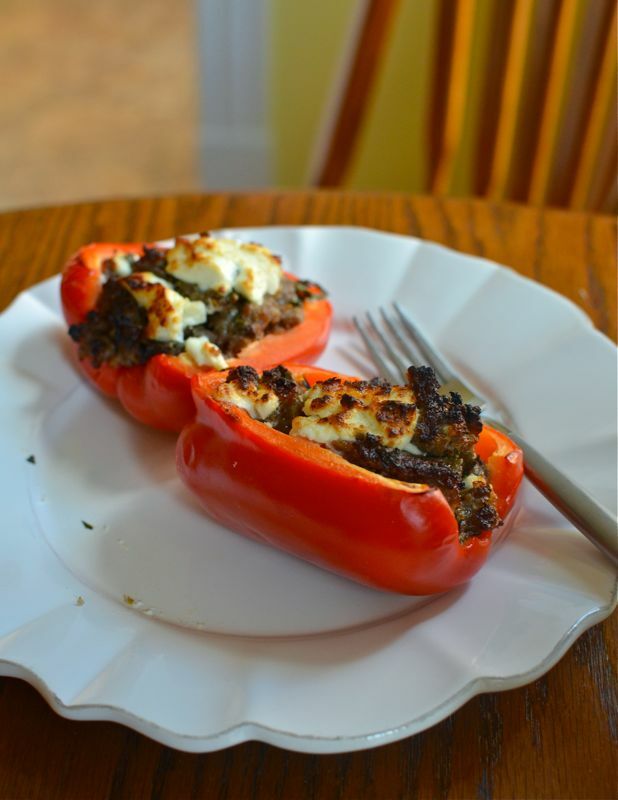 Basil and crisp bell peppers add a freshness and brightness to any summer meal. Goat cheese, on the other hand, can always enhance the seasonality of any dish, if you ask me. This recipe, inspired by Cookin' Canuck, is easy and light and (most importantly!) fast--make it in 20 minutes or less and get outside and enjoy the beautiful weather that this August has brought! In a large skillet, heat a small amount of olive oil. Add your sausage to the pan and cook until the sausage is cooked through, breaking up the meat into large chunks. When finished cooking the sausage, drain to a plate lined with a paper towel. 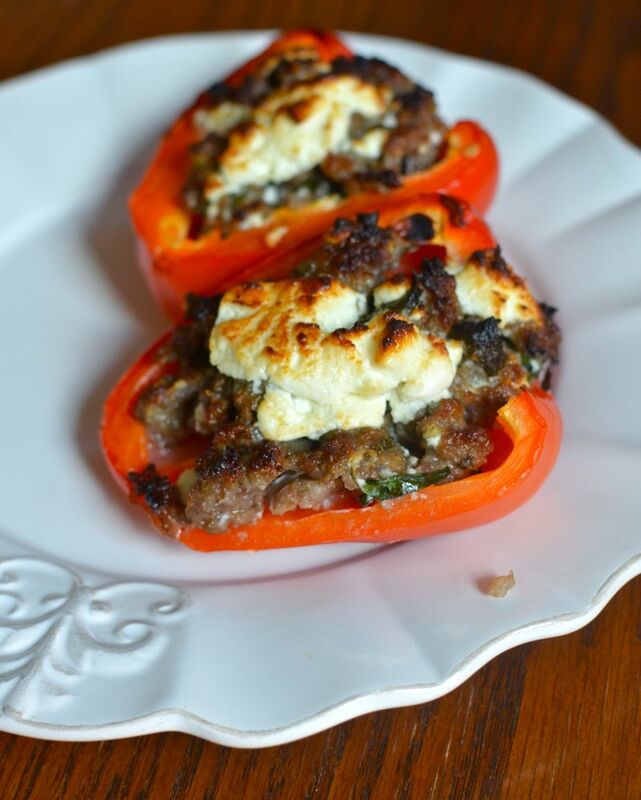 In a large bowl, combine the cooked sausage with the chopped basil and about 3 or 4 ounces of the goat cheese. Stir to combine. 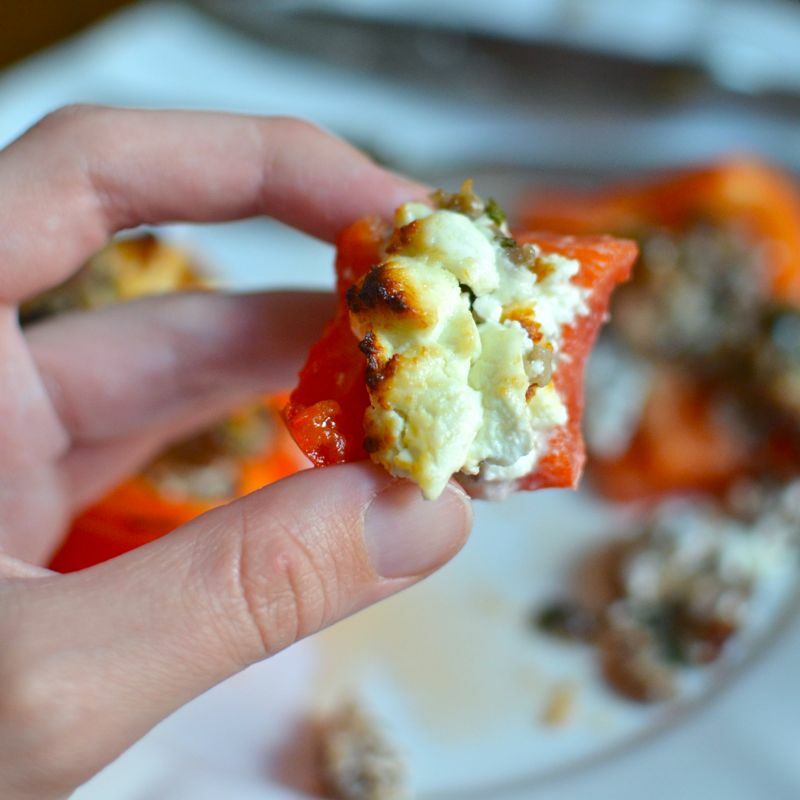 Lay red bell pepper halves on a rimmed baking sheet. 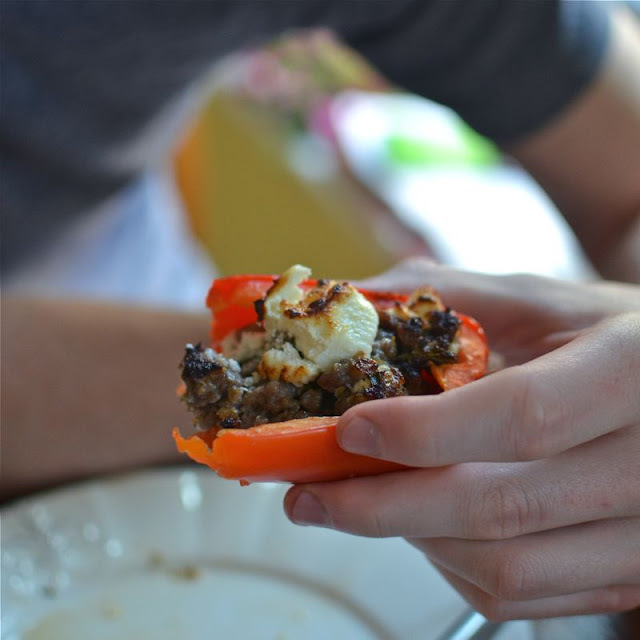 Divide the sausage-basil-goat cheese filling between the halves of the bell pepper. Sprinkle the tops of each with the remaining goat cheese. Broil for about 3 to 5 minutes or until the cheese on the top starts to brown and blister. The bell pepper will still be fairly crisp.